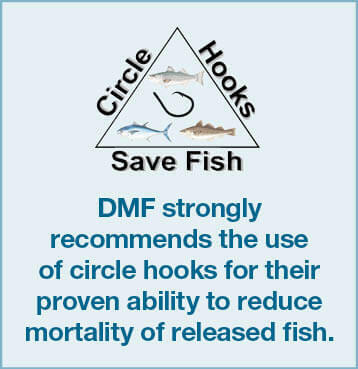 Circle hooks, along with barbless hooks, greatly reduce the chance of lethally wounding a fish. 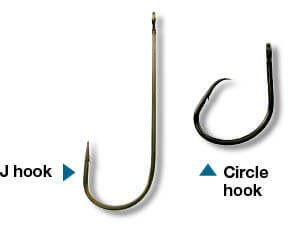 Make sure that the point is in line with the shank and not offset (often sold as octopus circle hooks); this is especially important in catch and release. Use appropriate tackle for the size and species of fish you’re trying to catch. 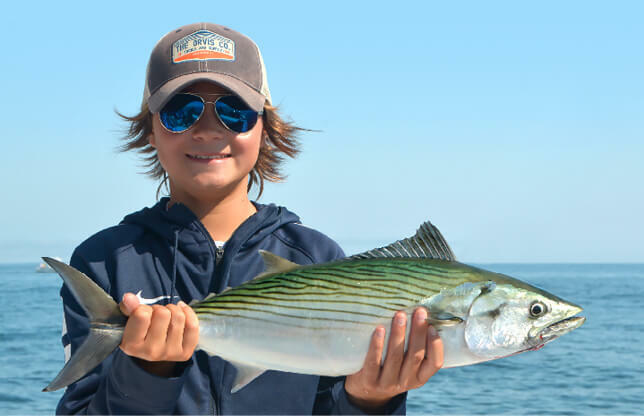 Stay focused when reeling in fish as higher stress levels and often higher mortality rates are associated with longer fight times. When the fish gets close, be sure to handle it with wet hands. Using a dry cloth or gloves can remove both slime and scales, both needed for the fish’s health. Keep it in the water. If you aren’t going to keep or measure the fish, try to remove the hook with the fish in the water. This will keep the fish happier and both you and your boat cleaner! When removing a fish from the water, be sure to support the full body weight. Place your hand under the belly of the fish as you lift it out of the water. Don’t ever grab the fish by the gills or eyes and never hold the fish up by only its jaw. Hopefully you’re using a circle hook, but whatever hook it is, get it out quickly. Use a dehooker if you don’t need to pull the fish out of the water or pliers if necessary to remove a stubborn hook. If the hook is deep in the mouth or gut, simply cut the line as close to the hook as possible before releasing the fish. Reduce time out of the water. The longer the fish stays out of the water, the greater the chance of mortality. Get a quick photo or measurement and get it back into the water. Be sure to know the regulations before you start fishing so there is no question as to what the size limit is. Don’t just toss it back. Remember, a fish out of water is holding its breath! Help it take a “deep breath” by releasing it head-first. If necessary, hold onto the fish and move it back and forth in the water to increase flow of oxygen-rich water over its gills before letting it go.